*Essential reissue of this long out-of-print LP-only 2005 classic of dark ballads and vagrant story lines from the mythical Alvarius B* Cryptic & twisted folk songs are the order of the day with a dash of baroque Italian cinema tics. The backing band on these recordings includes Eyvind Kang, Tim Young and Richard Bishop. 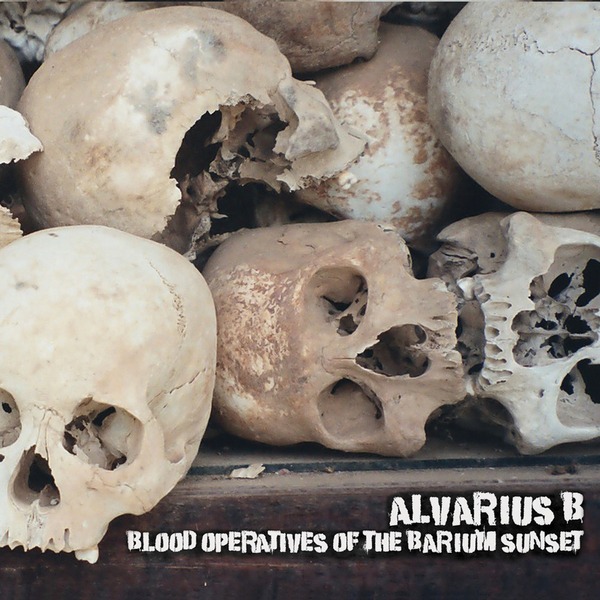 Alvarius B. is the scabrous solo pseudonym of Alan Bishop of Sun City Girls and Blood Operatives Of The Barium Sunset has got to be his most beautifully-realized outing to date, a black curse of a folk blues that touches on skull-torchers as bleak as Nick Cave circa ‘Tupelo’ and Leonard Cohen around the time of Songs Of Love And Hate." --Volcanic Tongue, 2005 • "The most compelling album of left-field folk since Christian Kiefer's Medicine Show." --François Couture."